I’ve been uploading pictures of food i make onto my facebook page for a while now, and i’ts occurred to me that a better place for it would be an actual proper blog! I suppose also I might be the only eLearning administrator who has never written a blog of their own, but teaches other people how to, it’s time to rectify that. I love baking, and sometimes get quite jittery if I’ve not been baking for a while. My neighbours and work colleagues are the happy recipients of much of what come out of the oven, much to my husbands disgust. I do point out we would both be the size of a house if it didn’t but he doesn’t buy it. At the moment i’m on a bit of an apple pie kick, las week made a fabulous apple pie using a bag of Thorntons treacle toffee. 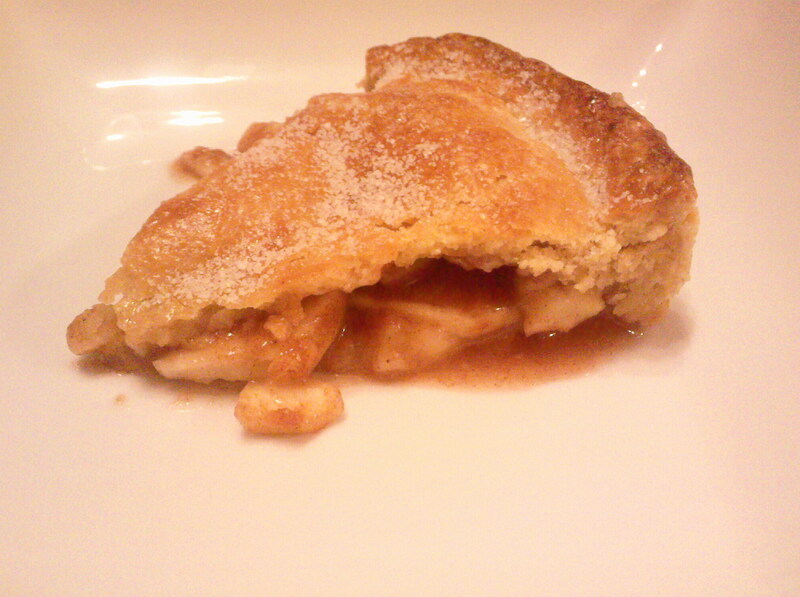 It was the best apple pie I’ve ever had. and, using an electric mixer on high, cream together until the mixture is pale and fluffy. Add beaten eggs and flour and mix until blended, being careful not to over-mix. Cover the pastry and leave it to chill in the fridge for 1 hour. 1. Melt butter and sugar in a saucepan. Add the sliced apples to the saucepan, cover, and simmer for 5 minutes or until they are starting to soften. Occasionally stir, being careful not to break the apple slices. Transfer to a plastic bowl and cool for 20 minutes. 2. Preheat the oven to gas mark 4/180OC/350OF. 3. Roll out the pastry to a 5mm thickness, line a 7-8inch pie dish and trim off the excess. 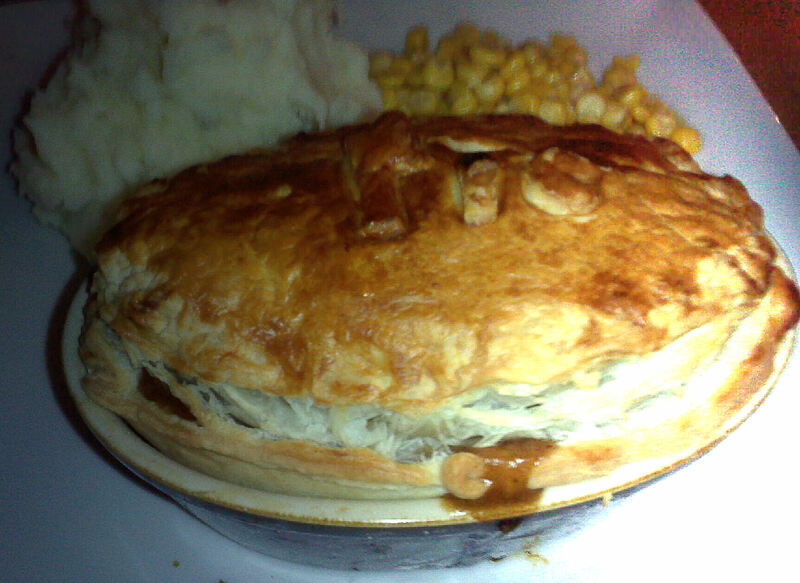 Roll out a lid for the pie the same size as the dish with the remaining pastry. 4. Once apples are cool, place into the pastry case. Using a rolling pin or hammer, break the toffee (using the step outside the back door, to hammer onto) and scatter the toffee over the apples. 5. Glaze the edges of the pastry case with beaten egg and place the pastry lid on top. Press the edges down firmly and trim the excess. Glaze the top of the pie. 6. Bake in the centre of the oven for 30-40 minutes or until golden brown. Remove from oven, and sprinkle with caster sugar. 7. Serve immediately with vanilla ice cream or custard.